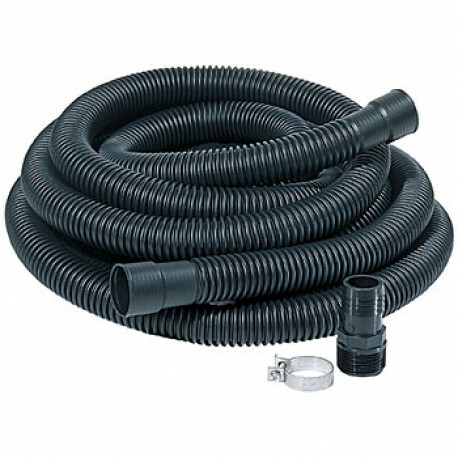 Little Giant SPDK-112/SPDK-114 (599303) Discharge Hose Kit works with all types of Little Giant Sump Pumps. This Little Giant Hose kit includes 1-1/4" x 24ft corrugated polyethylene hose and (2) ABS thread x barbed adapters - 1-1/4" and 1-1/2". Ideal for discharging water out of the basement sump. Replaces both SPDK-112 and SPDK-114.